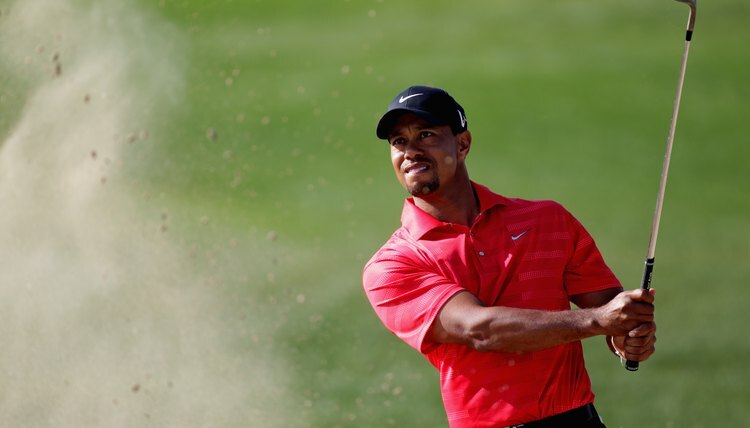 Tiger Woods' focus on fitness had a ripple effect within the golf community, among pros and casual golfers alike. Hitting the golf course taxes a range of the body’s muscles, as most avid golfers learn over the years. People unfamiliar with the sport may joke mistakenly about the game’s stereotypical effortlessness: its carts, caddies, drinks at the clubhouse or Friday hooky. Rarely do these hecklers consider the precise physiological coordination needed for a solid and long-lasting golf game. Golf fitness experts say consistent exercise for several crucial power centers in the body will not only enhance a golfer’s game -- it tends to lead to a healthier lifestyle overall. LPGA Tour pro In-Kyung Kim knows the benefits of yoga for core strength. Jaime Guillet began writing professionally in 2005 as a business reporter covering trade, retail, the film industry and city government. Since 2009, she has contributed to several online publications on topics including travel, technology, finance and food. Guillet, a devoted cinephile, studied journalism at the University of Louisiana at Lafayette. What Are the Main Muscles Used in a Golf Swing?